As always I enjoy your posts and this, on Pewter Tankards, no less. I have a contemporary copy, which seems to make my brew taste just a bit better. I’ll be on the lookout for another. I am too old to make on-campus education cost effective. However, I have an insatiable curiosity to “know” stuff. Fortunately, I have an ability to learn from books and now distance education has become a viable idea. When I was first at school, I was often distracted by peripheral events (girls, the Viet Nam war, beer, the culture of the 1960’s, and the intensity of youth). School in California in those days was essentially free. Today, a four year experience can easily run into six years and $100,000 of debt. For me there is no return on investment, but ROI doesn’t really apply to me. I am interested in those things I neglected to study because of misplaced priorities, currently Portuguese, Spanish, and linguistics..
Hi Carlos,glad you liked my post about Pewter Tankards, Pewter is one of my passions so managed to collect a few early tankards myself. By the way I have looked a Coursera and am thinking of one I might go for. Like you I am always searching for knowledge on the things I am already interested in and regret not being able to study more when younger.However I am having fun catching up now. Hope you receive this as I try leaving comments on your site but not sure if you are getting them. Best wishes Rita. Hi, and thanks for replying, but can you guide me on the hallmark underneath the Tall stein or tankard, with goblets, Ive searched all websites to compare, but not having any luck, similar to the ones above , but this one as more raised seems from top to bottom, it as Four hallmark Stamps , A B , then flower type petal and then an S , or a Snake with a line or arrow through centre, it may not be pewter . Please send me your thoughts, and where are you based ? You will need to give them all details, besides the number. Good luck. 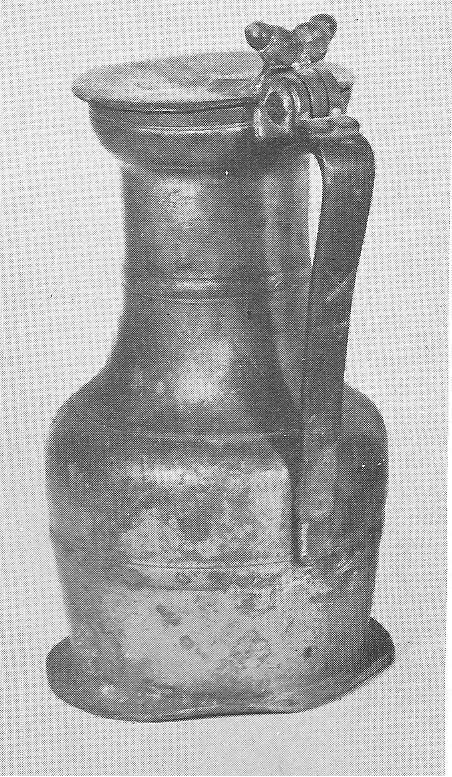 I have a flagon found makers mark and it was make around or after 1660. When I was your my brother and used the base to shoot at with a pellet gun…ahhh. It has a very small hole and I would like to repair it properly. I have used wax for now so I can drink my fav beer. What a shame you and your brother did not treasure this when you were younger. Good Luck. Hello Rita. I have an old tankard that I have which has a raised pic of King George the 1st on it, a court jester on the top of the lid and three legs which are cherubs. I was told by an appraiser it was a Presentation Tankard. King George 1st. Do you think this has any value? It does have a few small dents in it. I have six pewter tankards that graduate in size. Flat lids with acorns. Are they of interest to you or anyone? Hi Jennifer, Do you know how old your tankards are ? A fascinating history of pewters, thanks! I came across this blog post while trying to analyse a poem, actually, which mentions tankards. 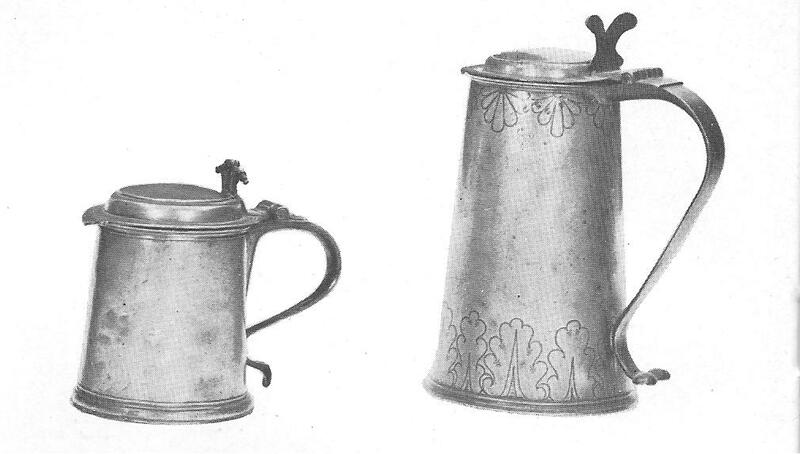 Can you tell me anything about the class-associations of tankards, pubs, etc.? ie. what class of society was most likely to be drinking out of tankards? Any idea? The Pewter Society. and Poor Mans Silver- Antiques Almanac. Let me know how you get on. Good Luck. I have just acquired a pair of extremely heavily cast (and heavy) bellied victorian pint pots in gunmetal, which have the VR and verification marks for LCC, plus GR66, presumably Gv. I have mislaid my booklet giving details of the verification marks, so don’t know which area 66 refers to. I have come across a few gunmetal pots in the past, but never with verification marks, which presumably means they were meant for use in some pub or other drinking establishment. Can you enlighten me on these please? Hello Mike, You might like to try Google – The Antique Pewter Tankard Co. They may know about gun-metal as well. I have recently acquired a pair of victorian heavily cast bellied pewter pint pots in gunmetal. I have come across others in gunmetal but none with verification marks (VR and LCC) and also a later GR66. Having mislaid my book on verification marks, I don’t know where 66 refers to, but the marks suggest the pots were intended for use in a pub or other drinking establishment. Perhaps they were sold to a self important publican, or used by a dignitary of the LCC. I would appreciate any information on the subject. Many thanks, Mike. I, like many others am collecting unique items to leave for my three children when I “fall off the perch” (many years left I hope). I love history and would like to pass on this love to my children. For this reason I have bought three George III 1787 shillings to explain the “kings shilling” story to my children with the added advantage of them having to think that these particular coins just may have been used for this historical purpose. Hello Mark, It’s nice to know someone is thinking sensible in this modern day and age, because antiques are an investment and appreciate in value with age. 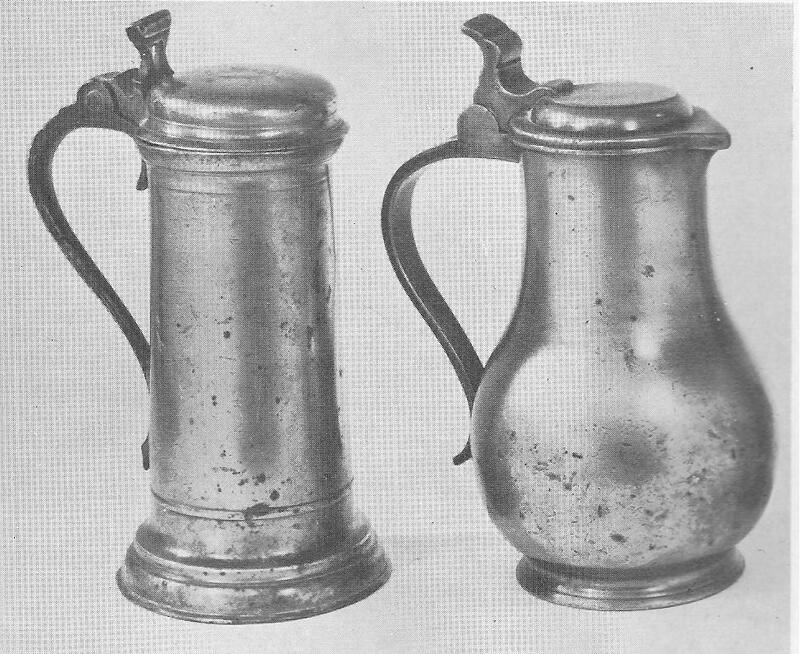 First I suggest you buy a book with all information about antique pewter tankards which you can get from W.H. Smith The ” Shire book Collections” are quite cheap. Then when you are satisfied with your research visit a few antique shops and browse. Of course there are going to be fakes so if you have done your research you should be able to know what to look for. You could also contact The Pewter Society but for this you will have to look up the address and other contact details on Google. Please let me know how you get on and if you need further information. For those of you interested in collecting Pewter I decided to re-blog my post I wrote some time ago. Enjoy ! !